Y’know what we’ve never done on this here blog? Featured products for dudes. UNTIL TODAY. One small step for Unsullied, one giant leap for…OK, maybe not mankind, but we’re feeling pretty good about it. Natural skincare, soap and personal care products are not gender-specific. Everyone benefits from using products that are cleaner, healthier and holistic…and free of irritating chemicals and ingredients that do not serve our health. But since Kathryne and I are both, y’know, females, our product reviews naturally have a perpetually womanly perspective. Shucks. We’ve been talking about getting a male viewpoint on the blog for a while now. With the recent close of No Shave November, the rustic autumn season and the recent popularity of the term “lumbersexual“…we knew we had to start with (drumroll, please) beard oil. Beard oil also makes a choice selection for the blog because, unlike the vast majority of personal care products out there, it’s a traditionally natural product. Most beard oils are chock full of nourishing oils like jojoba, argan, grape seed, etc., and natural scents. Yeahhh! Plus, it just so happens we liaise with a very beardly dude who has been on the prowl for a solid beard oil for some time now, and he kindly agreed to share his POV for this very blog entry. The fates aligned for this post, my friends. Today we’re featuring our guy JW. 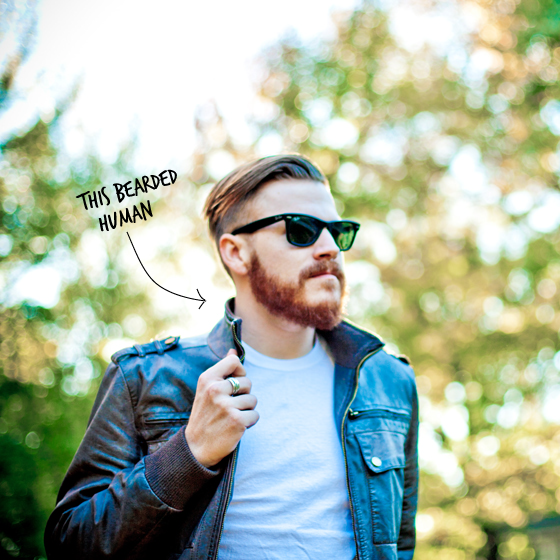 He’s been sporting a beard for the better part of this year, but wasn’t regularly using beard oil…until now. The elixir at hand? Province Apothecary’s Beard Oil ($36 for 30 ml) from Canada, Land of Beards. We’d been chatting about beard oil on Twitter (y’know, as people do, totally normal…) in October, and Province Apothecary very kindly offered to send us a bottle for JW to test drive. Lucky for us, we had been coveting this brand’s snazzy blue bottle (it’s dual purpose: looks cool and protects the integrity of the oils) and equally laudable natural ingredients. It came highly recommended by our gal Sonja (beard aficionada, fellow Jon Snow disciple) from Life in Blush. Beard oil is pretty much leave-in conditioner for beards. Province Apothecary’s packs in sunflower oil, jojoba seed oil, grape seed oil, evening primrose oil and GMO-free vitamin E. Combined, they hydrate, reduce itchiness and blemishes, and give beards a healthy shine. On top of that, black spruce is supposed to stimulate hair growth and strengthen the beard, while lavender calms the skin. 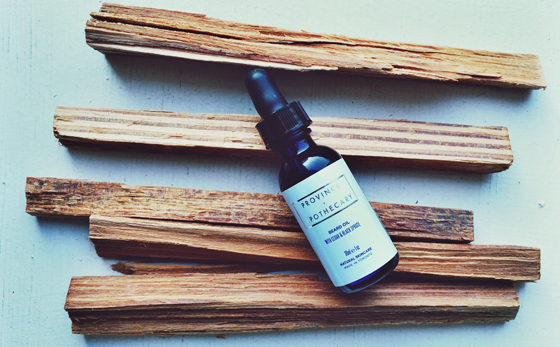 Therapeutic oils of bergamot, cedar wood and vetiver also make this beard oil smell pretty dreamy.